Wells Fargo general manager Claudia Ponce de Leon says she tipped off her bosses several times between June and early September of 2011 about a wave of fake accounts being created at her bank branch. Like others at Wells Fargo, Ponce de Leon says she also called the bank's confidential ethics hotline to flag fraudulent activity. In late September, Wells Fargo fired Ponce de Leon, claiming she drank too much. Now, the federal government has signaled it may order Wells Fargo (WFC)to rehire Ponce de Leon because her termination likely broke laws that protect whistleblowers from retaliation. "There is reasonable cause to believe" Wells Fargo violated both Sarbanes-Oxley and Dodd-Frank, according to a December 2016 letter from the Occupational Safety and Health Administration. OSHA, which is part of the Labor Department, found that the "preliminary reinstatement" of Ponce de Leon is likely warranted. No final determination from OSHA has been made and the investigation remains ongoing. Wells Fargo said it has responded to the OSHA letter with "rebuttal evidence," but declined to share specifics. "We disagree with the finding and we will continue to defend ourselves to ensure all facts have been fully considered," Wells Fargo said in a statement. "We take seriously the concerns of current and former team members." For Ponce de Leon, the firing from Wells Fargo caused her significant financial damages as well as "severe stress and anxiety," according to her complaint. News of the OSHA letter was first reported by the American Banker. Wells Fargo has emerged as one of the most troubling workplace cultures of recent years. The OSHA letter is the latest evidence suggesting Wells Fargo retaliated against whistleblowers who tried to put a stop to the millions of unauthorized accounts that have landed the bank in hot water. Earlier this week, OSHA ordered Wells Fargo to rehire a whistleblower the bank fired in 2010 after he called the ethics hotline about suspected fraud. OSHA said the bank must pay the former manager $5.4 million in back pay, damages and legal fees. In September, CNNMoney reported on almost half a dozen Wells Fargo workers who say they were fired after calling the ethics line. Earlier this year, Wells Fargo too admitted it has found evidence that at least some whistleblower retaliation claims may have merit. "A few cases out of the hundreds reviewed raised questions, and we are following up on each of them," Wells Fargo CEO Tim Sloan said in a January speech. The Ponce de Leon case certainly raises questions. A former general manager at a Pomona Wells Fargo branch in California, she filed a complaint against her former employer in December 2011. Ponce de Leon warned her district manager in June and July 2011 of "extensive" fraud at her branch, according to OSHA. Later that summer she notified her new district manager of "fraud and unlawful conduct" by her employees. Ponce de Leon said she then called HR to complain she was being mistreated for raising these concerns about her employees creating fake accounts. On September 7, 2011, Ponce de Leon said she called Wells Fargo's confidential ethics hotline, known as EthicsLine, to report fraudulent activity. OSHA said on September 27, 2011 Ponce de Leon was called into work on her day off and told that her employment was terminated effective the next day. The initial OSHA investigation has found there's reasonable cause to believe that Ponce de Leon's "protected activities" -- blowing the whistle on illegal activity -- were "contributing factors" in her firing. Wells Fargo claimed Ponce de Leon had a long, well documented history of unprofessional conduct. However, OSHA said the "evidence does not support that assertion." The only evidence of disciplinary action against Ponce de Leon came in August 2010 when a subordinate claimed she had "too much to drink while out to lunch," according to OSHA. But OSHA notes that the person who made the complaint had been sanctioned the day before by Ponce de Leon. 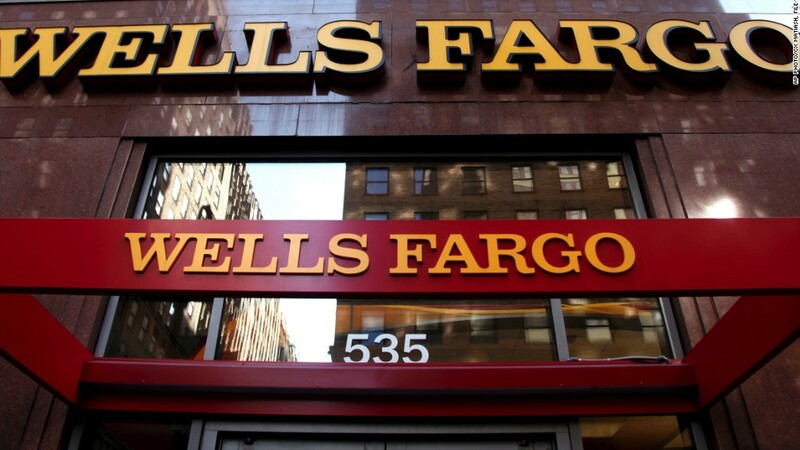 "Evidence appears to indicate that (Wells Fargo) retaliated against the manager...who was trying to hold employees accountable for their actions," OSHA wrote.